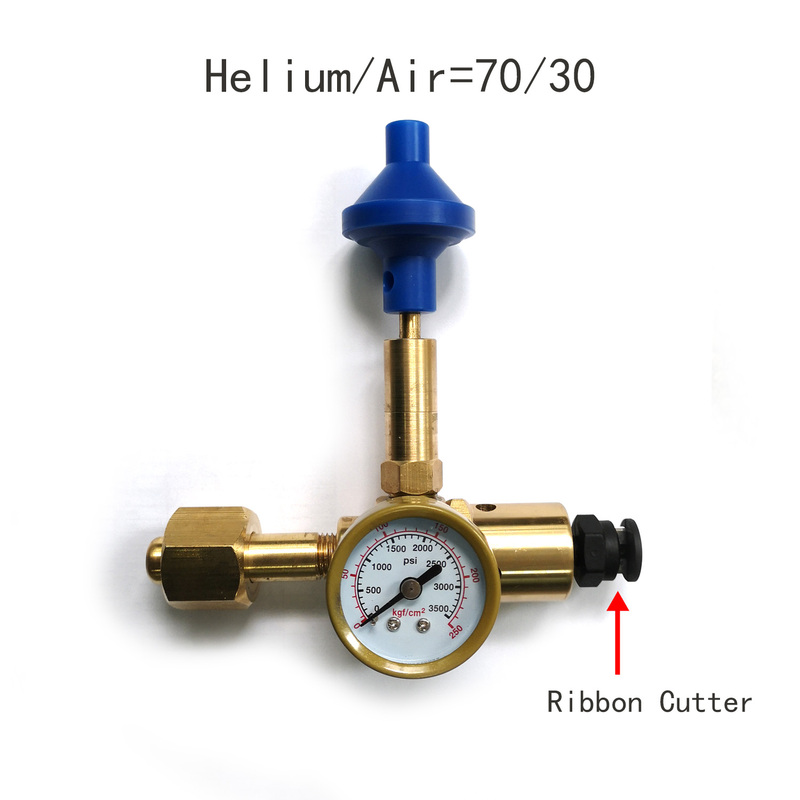 The Helium/Air inflator is ideal for use with 11″ and larger balloons. Fast flow push valve mixes 30% air with 70% helium. For example, on a large job that would normally require 10 helium cylinders, using the Helium/Air Inflator would only require 7 cylinders! Inflator investment is quickly recovered with helium savings. By covering air intakes, inflator will also inflate balloons with 100% helium.